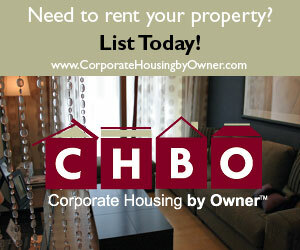 Corporate Housing by Owner specializes in the lucrative market of renting properties for corporate housing. In our fast paced business environment, people routinely go on assignment for long term contracts. Many businessmen would prefer to stay in a furnished house in a quiet neighborhood to being stuck in a soulless hotel. If you happen to be a business traveler looking for lodging for your long term contract, you will find an extremely rich selection of opportunities in cities around the United States and the world at large.